1. 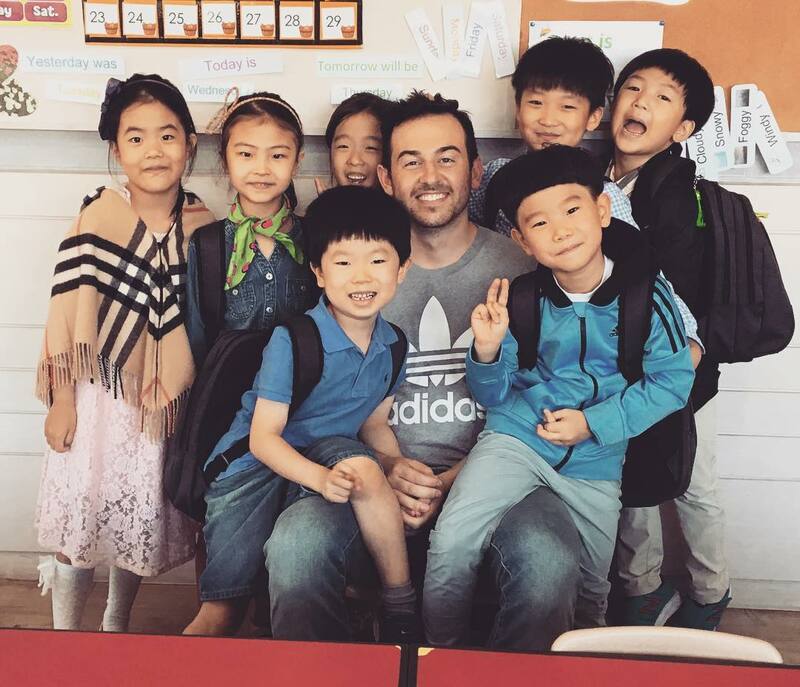 Taking a four-week TEFL course at an international location and staying on to teach. Example: You want to take your TEFL class in Costa Rica and teach English in Costa Rica following the course. You could register a few days before a class starts, fly to the location, take your course, interview for jobs at the end of the class and begin teaching in week five. For most people, the prospect of arranging flights and transporting their lives overseas for training and a new job in a matter of days, or even weeks is not realistic. 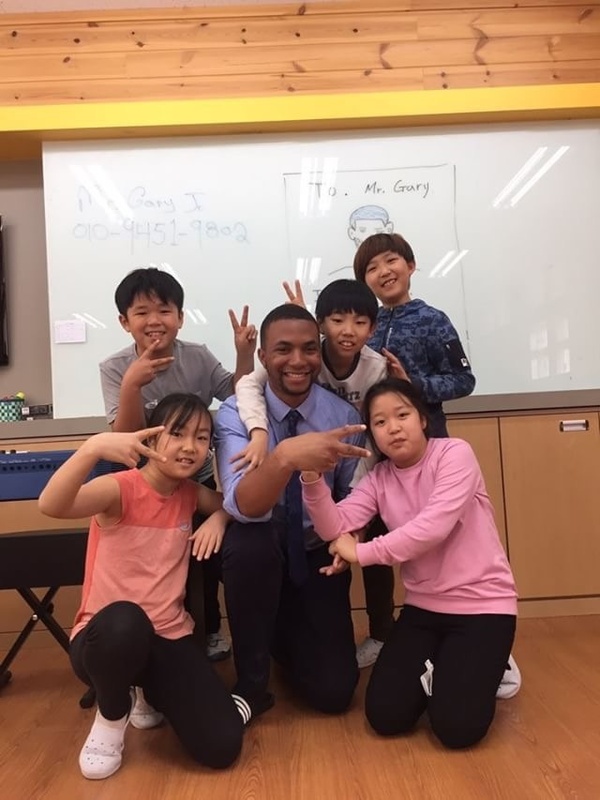 We highly recommend that you enroll for any international onsite TEFL course at least 90 days in advance, both to secure your spot and to make all of your arrangements. Please note that summer and early fall courses in South America and Europe are very popular and may fill well in advance 3 to 6 months in advance of the course start date. Timing your onsite course with regional hiring seasons will present you with the best job opportunities when you complete your course ends. With hands-on job search guidance from the onsite staff, students who earn their certification onsite usually begin working within two weeks of the completion of their course. 2. Taking a four-week TEFL class in the U.S. and interviewing in advance for a teaching position before you go overseas. Example: You want to take your TEFL course in Chicago and line up a job in Korea or Japan before going abroad. Your onsite course in Chicago will take four weeks. Lining up a job in advance can take 1-5 months depending on where you want to go. Factors to consider include hiring seasons, length of interview process, how long it takes to get your visa, make your travel arrangements, etc. You should speak to an International TEFL Academy Advisor to determine how long this process will take based on where you want to teach English abroad. 3. Take a four-week TEFL class in the U.S. and then travel to the country where you want to teach to interview and begin teaching. Example: You want to take your TEFL course in Chicago and then travel to Spain to interview and begin your English teaching job. Check out TEFL Classes in North America. In most countries in Western Europe and Latin America, interviewing and hiring is conducted locally on the ground in person. Your onsite course in Chicago will take four weeks; if you take your course in Toronto, it will take five weeks. Once you arrive in your destination country, the process of interviewing and getting hired usually takes 1-3 weeks. If taking this approach, you should be sure to time your arrival in your destination country with a major hiring season to give yourself the best opportunities to land a good job quickly. 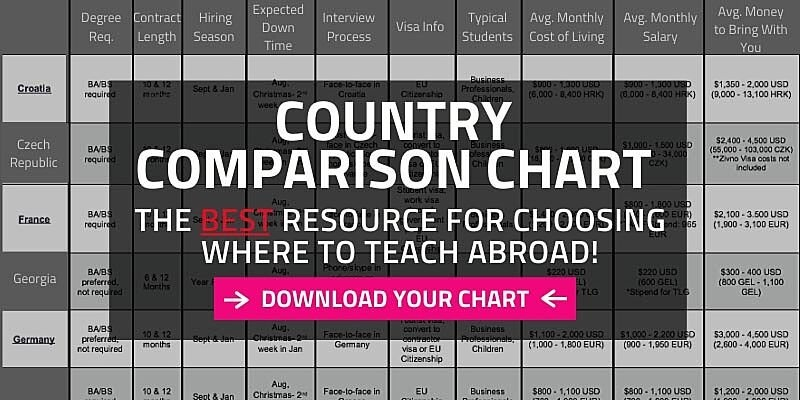 Please consult your country chart and speak to an Admissions Advisor to learn when major hiring seasons occur in the different countries around the world. Following hiring seasons is critical to gaining employment in many countries in Europe and Latin America. 4. Take the Online TEFL Course and plan to interview for English teaching jobs in advance over the phone. This will be typical if you are planning to teach in many countries in Asia; Persian Gulf countries in the Middle East like Saudi Arabia, Qatar and the United Arab Emirates (including Dubai and Abu Dhabi); and limited instances in Europe, including Russia Turkey, and government assistantship programs in countries like Spain, France and some others. 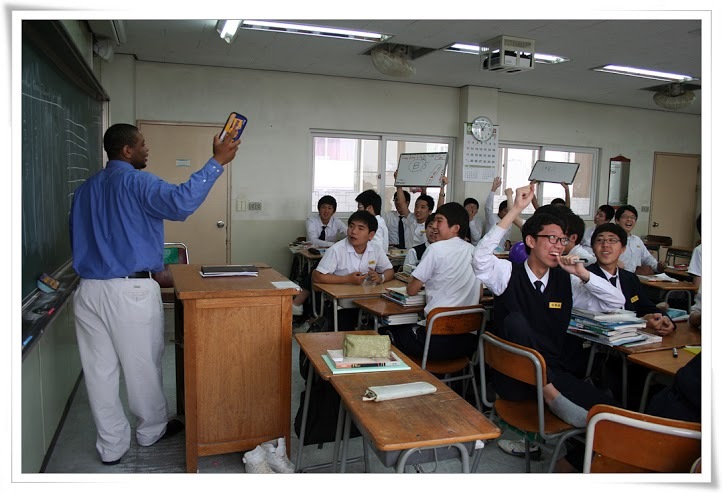 Example: You want to take your TEFL course online and interview in advance for an English teaching position in Korea. Your Online TEFL Certification Course will take 11 weeks, and your job search will typically take 2-6 months from the time you interview for jobs to your actual departure date for your destination. This is not because it takes that long to receive a job offer, but because the process of interviewing, accepting a contract and then making travel and visa arrangements just takes several months. Because you begin receiving job search guidance during the course, your certification and your job search can be conducted simultaneously. This means that it will typically take you 3-6 months from the beginning of your online course to your departure abroad. 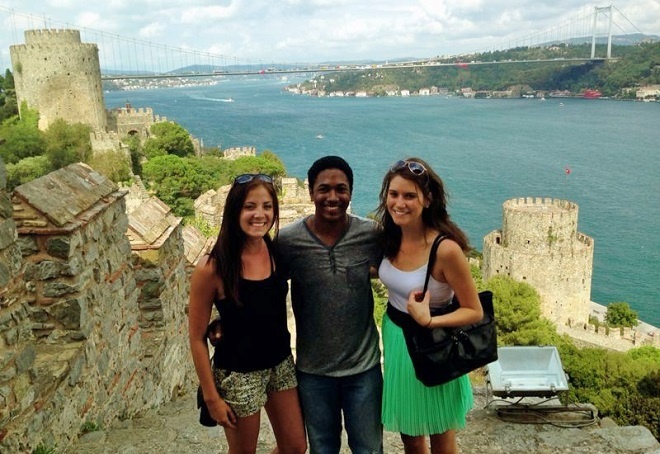 Check out: Where will schools hire me in advance to teach English abroad? 5. Taking an Online TEFL Course and traveling to your destination to interview in-person. Example: You wish to take an 11-week Online TEFL Class and fly to Costa Rica right after class finishes to interview and begin teaching. Your online TEFL course will take approximately 3 months to complete and in most cases you will need an additional month or two to make you travel arrangements and to take care of your personal affairs. Once you arrive in your destination country, the process of interviewing and getting hired usually takes 1-3 weeks. If taking this approach, you should be sure to time your arrival in your destination country with a major hiring season to give yourself the best opportunities to land a good job quickly. Please consult your Country chart and our Country Profiles to learn when major hiring seasons occur in the different countries around the world. 6. 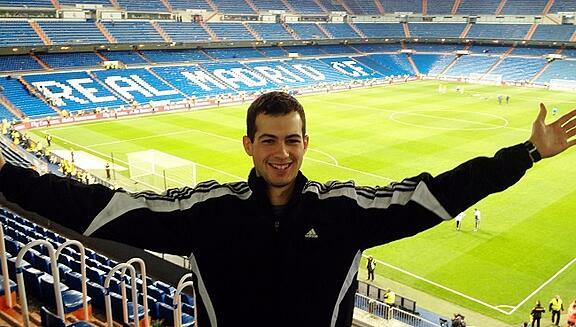 You are already living abroad and taking your TEFL certification course online. Example: You live in Italy, and you want to take an Online TEFL Class and begin teaching as soon as possible. 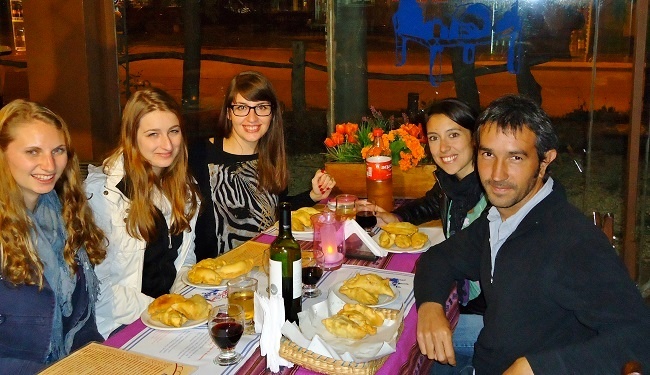 You can begin teaching while you are taking your TEFL class. You will begin receiving job search guidance in the third week of the course, so you can begin contacting schools and interviewing during the course. Some schools will interview and hire those who are in the process of earning their accredited TEFL certification. Note that your ability to begin teaching may depend on local hiring seasons and other factors including your qualifications and circumstances. Passport: Did you know that processing a passport can take 8-12 weeks? Police Background Check: Many international jobs require a federal criminal background check with an international notary known as an Apostille; this process can take up to 8-12 weeks in the United States. Medical Exam: Schools in most Asian and Middle Eastern countries and some European countries require that you take a physical prior to your departure, and may require TB and/or HIV tests. Work Visa: Asian countries and some Eastern European countries require that teachers’ work visas be processed in advance; this process may take up to a month or even longer. 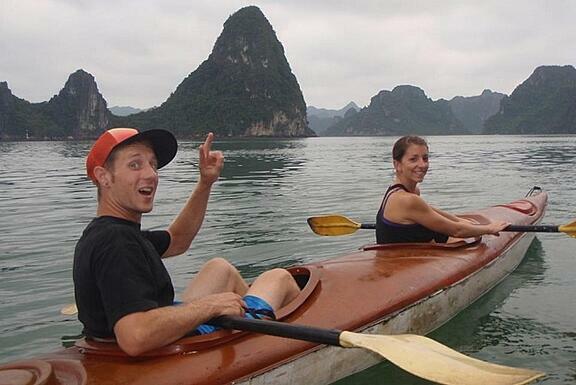 Tourist Visa: Gaining entrance into China, Russia, Brazil and some other countries requires a tourist visa for Americans and citizens of some other nations to be obtained in advance, which can take up to 30 days or longer in some cases. Airline Tickets: Booking well in advance will get you the best deals on your airfare. The longer you wait, the more it will cost you.